The Coromandel – it’s the quintessential Kiwi summer holiday spot with the very best gifts of nature - plenty of sunshine, golden beaches, native forests, rivers and sparkling waterfalls. This is why the Coromandel is so popular, it encourages you to slow down to the Coromandel pace of life and appreciate your beautiful natural surrounds - or just sit back and soak up the peace and quiet. 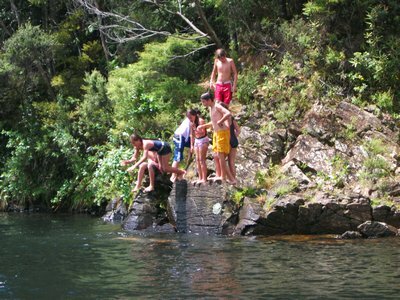 On your Coromandel Holiday you can enjoy a number of outdoor activities including horse trekking, bush walks, trout fishing, abseiling, bird watching, kayaking, and river swimming - and believe it or not, possum spotting. A trip to the 1200 year old Square Kauri is only 15 minutes away from Riverglen Holiday Park where you can marvel at its size and age. 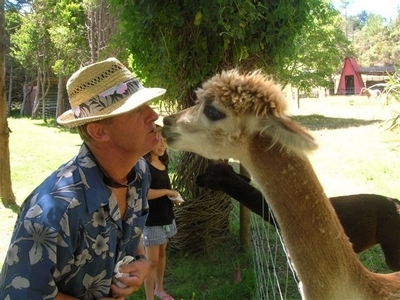 Riverglen Holiday Park has that same restful, carefree Coromandel atmosphere which will help you relax and unwind during your visit to the Coromandel Peninsula.